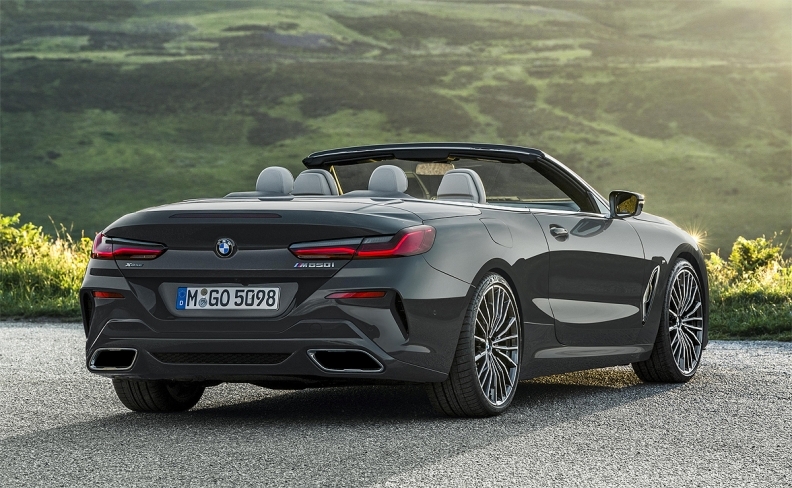 The 8-series convertible carries visual cues that underscore the power under the hood. BMW's 8-series model line is getting a new addition -- a convertible. The soft-top, four-seat 2019 BMW M850i xDrive Convertible will launch in March and start at $131,500. BMW Canada didn't immediately say how much shipping will cost. 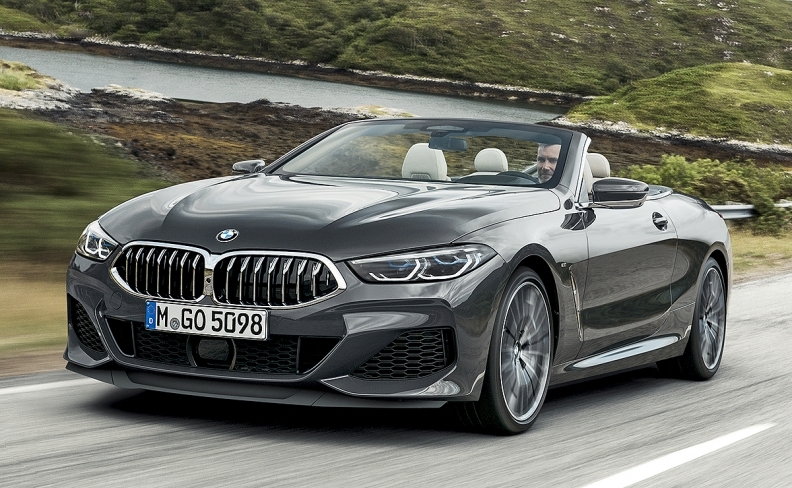 The convertible is powered by a new version of BMW's TwinPower Turbo 4.4-litre, V-8 engine that generates 523 hp and can go from 0 to 100 km/h in 3.9 seconds. A new aluminum alloy provides a stronger engine block, BMW said. The front of the vehicle features large air intakes, while the signature BMW kidney grille features a hexagonal outline that widens toward the bottom. The rear design emphasizes the car's width and low center of gravity. The slender all-LED rear light clusters extend deep into the flanks. The taillights illuminate in a distinctive "L" shape. Twin, trapezoidal exhaust tailpipes are positioned either side of the rear lower section. Earlier this fall, BMW reintroduced the 8-series coupe, the first new 8 series in two decades. "At this price level, rarified models such as the 8-series convertible are image leaders and halo products to showcase what buyers aspire to own," Fiorani said. "With models like the 2 series pulling the brand into lower price brackets, the BMW 8 series keeps the brand's image as aspirational even when some models are attainable to the average buyer." The 2019 8-series convertible offers an array of sensors and technologies that take the drudgery out of driving. The optional Driving Assistant Professional package includes a semi-automated driving system that allows for hands-free and pedal-free driving on limited-access highways and at speeds slower than 60 km/h. The system, which debuted this year in the redesigned X5 crossover, uses an in-cabin optical camera to address a critical challenge with semi-automated driving systems -- ensuring that drivers are paying attention to the road. The camera mounted in the instrument cluster that checks to see that the driver's eyes are open and facing the road. The camera doesn't record in-cabin activity, BMW emphasized. Technology is used to improve the driving experience in the new convertible. The eight-speed Steptronic Sport transmission's controller networks with the vehicle's navigation system, enabling it to take the planned route into account. Navigation data is used to downshift early, for example, when approaching an intersection to use engine braking to slow the car down. Likewise, the intelligent controller is able to avoid unnecessary gear shifts between two corners that follow in quick succession, making it possible to drive through at a quicker pace. The M850i xDrive Convertible comes standard with a suite of safety features including blind-spot detection, lane departure warning, rear-collision warning and a system that alerts the driver if cyclists are detected. Also standard is a head-up display. Optional is a night vision system that relays a real-time video image showing people, large animals and other heat-emitting objects. Any objects detected are illuminated using the headlights' marker light function.